As a child, we were told a lot of interesting stories about our previous beliefs, read books about iconic characters whose names will forever ring a bell. 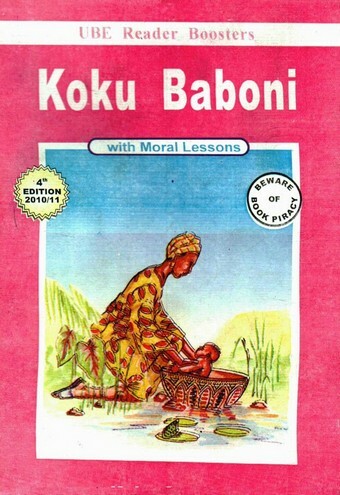 For those who were born in the 1990s, do you remember books like – Tales by Moonlight, Koku Baboni, Ralia the Sugar Girl, Heroes like – Jaja of Opobo, and how Tortoise was a very famous allegory character? It’s exciting to think back to these moments, there are times you catch yourself laughing with your friends about your childhood days, reading out lines from old books about “Agbo, Simbi and Edet”. Now let’s refresh and bring back some daunting memories of childhood by talking about some of these books. Children seat around the storyteller, which is usually an old man or woman. Stories told can either be fictitious or real. Songs are mostly used at some point in the story where the storyteller calls while the children respond. Though some people did not experience the setting, there were books that could be read from, books such as – Tales by Moonlight by Olubunmi Salako. 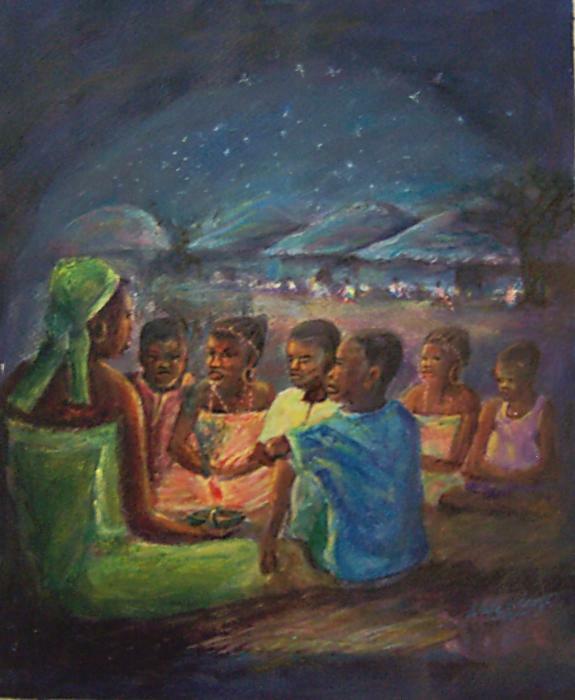 Some TV stations in Nigeria like NTA and Africa Magic aired some series of Tales by Moonlight up to the early 2000. Each tale always had a moral lesson at the end. Killing of twins was formerly a customary practice in Nigeria. This book depicts the daunting love of a woman towards a twin child she found in the forest, which had been abandoned to die. She picked and raised the child, Koku with a lot of love and affection. Ralia was a sweet little girl who could sing well. She got carried away by a bird while on the farm to fetch firewood. Lost in the forest, she met an old woman, named Awaya that been banished from their village years ago because she was a witch, who accusingly killed her husband and children. Ralia fought her way through, till she left the captive of the witch and returned to the village. 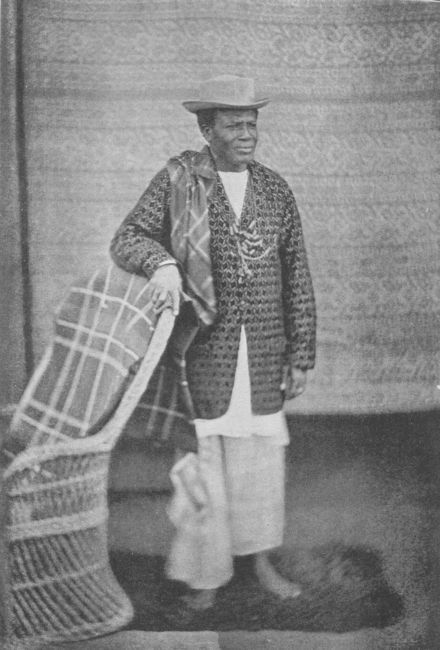 Jaja of Opobo was a merchant prince and the founder of Opobo city, born in Umuduruoha. He was sold at about the age of twelve as a slave in Bonny. Jaja eventually won his liberty after years of fighting against his unjust abduction. His story was featured in one of the Children’s literature book in the 1990s. The tortoise was a very famous allegory character, always portrayed to be funny, greedy, cunny or wiser than the other animals. He featured in many stories like “Tortoise and the Hare”, “Tortoise and the Dog”, “The Greedy Tortoise”, “Tortoise and the Birds”, “Tortoise and the grinding stone” among others. 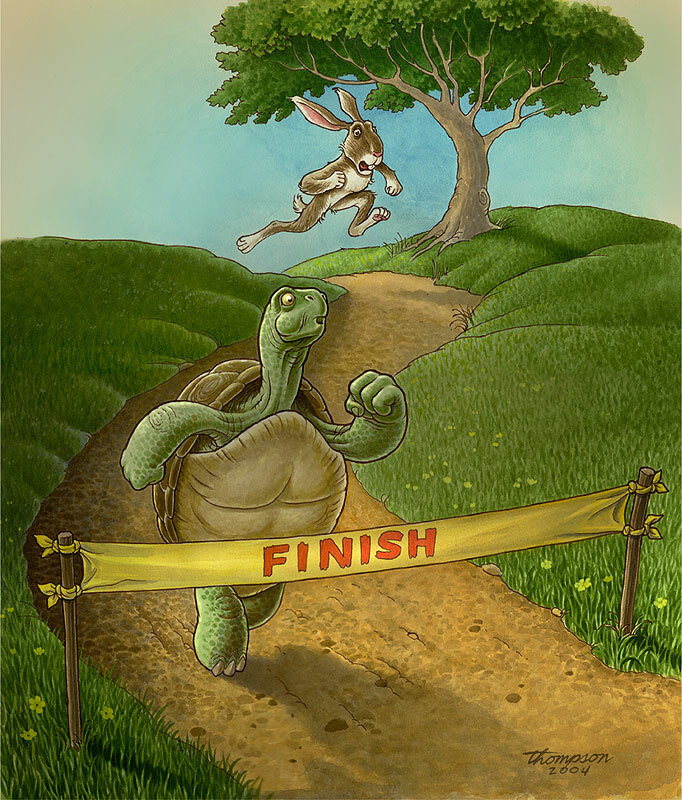 The “Tortoise and the Hare” is however one of the most popular, where Tortoise challenged Hare to a race and emerged the winner, the moral behind the story was “slow & steady wins the race”. Though these stories are fading away with time and generation, they are memories that will forever remain cherished for those who were privileged to be born during this era! I will do anything to have these books again and read them all over! Next Article The Big Bang Theory – You Go Blow Or Nah? 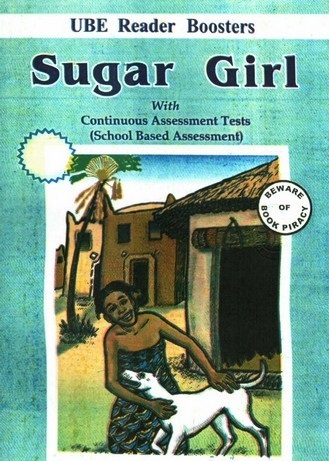 Loved reading Koku Baboni, Ralia the Sugar girl. Also one of my favourites till date are The Boy slave, The return of Shettima (I can still visualise Matamba’s face! ), and Eze goes to school.